In the company’s most recent earnings call, HTC confirmed it’s making a profit on each Vive headset sold, and that the company has sold “much more” than a widely reported 140,000 units. Analysts and investors hoping for a strong HTC comeback pressed the company for details on performance of the Vive’s sales and growth during the Q3 earnings call. 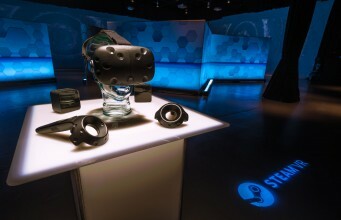 Like its competitors in the VR space, the company has declined to give specifics on headset sales this early in the development of the product category, but did respond to questions about a 140,000 unit sales figure that was reported initially by Chinese VR site 87870 and subsequently picked up by many others. “You can see that—from HTC perspective we’re also interested in knowing [competitors sales figures], just vice versa in the other people’s shoes they want to understand HTC. 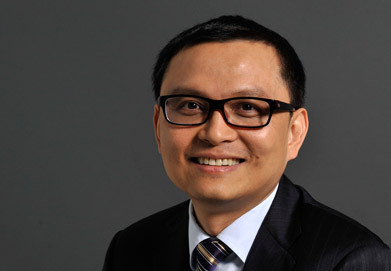 That’s why I would never disclose [the exact figure], because this is the best protection of HTC interests, shareholders, in the long term,” he said. Previously we had correlated SteamSpy ownership data for bundled Vive games as an indicator of the HTC Vive install base, but—depending upon exactly how much Chang means when he says “much more than that number,”—the method may be flawed. Presently Tilt Brush data would be the best indicator for that method, as it’s the only game that’s been bundled with the Vive since launch; its current ownership figures would suggest a Vive install base of 143,000 (± 10,030) units, but this may not account for enterprise sales of the Vive business edition, and would exclude some number of Vive units unless the Tilt Brush bundle applies to every region where the Vive is sold (which at this time is not clear). There’s actually quite a bit of hardware in the Vive box. While it might seem obvious that an $800 product would be profitable, the notion of profit doesn’t quite jive with past statements from Oculus who said that their $600 Rift headset was being sold at-cost (no profit). Both headsets have a similar set of components and requirements, and when you add on Oculus’ $200 Touch controllers, the systems units are identically priced. Without more details—like what exactly the company tallies as contributing to the cost of each headset—it’s tough to say for sure, but there’s a few ways to attempt read this. 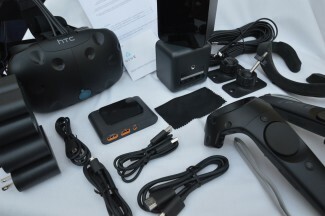 First is that HTC may simply have a more efficient operation when it comes to producing and selling the Vive—which the company is said to manufacture itself—compared to Oculus. Another possibility is that the per-unit sales may not have been profitable to start, but eventually achieved profitability as the requisite processes improved. Oculus too, may no longer be selling at-cost, or may not ever have been if the cost definition is applied consistently between both company’s operations. Of course the question remains then for consumers, exactly how much profit are we talking about? $800 is a hefty price to pay, especially for products still in the early-adopter phase, and there’s no doubt that VR needs to get cheaper to spread widely. The post HTC Confirms Each Vive is Sold at Profit, “Much More” Than 140,000 Units in Sales appeared first on Road to VR.